Conventional dynamic cone loudspeakers can usually be analyzed using a MAGNETO RS model. More exotic shapes may require AMPERES . Loudspeakers employing electrostatic forces may require ELECTRO or COULOMB for design analysis. 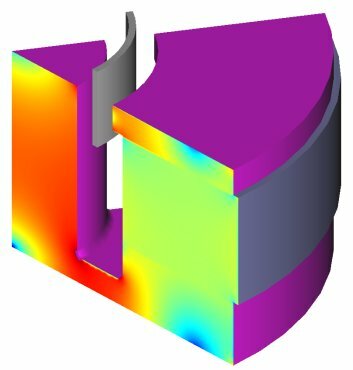 The Boundary Element Method has a particular advantage for this application because of its ability to generate extremely accurate air gap field analysis.